Surface integrity is one of the important requirements of engineers, and it should be controlled for manufacturing of different components. Among different indications of surface integrity, metallurgical aspects including microstructure changes and residual stresses are remarkably effective on performance and service life of the products. Machining process of Inconel 718 alloy is widely used in advanced industries, and therefore, surface integrity of machined workpieces is essential task. Since experimental investigation in this subject is really difficult and time-consuming, finite element modeling of machining processes is used as beneficial method. 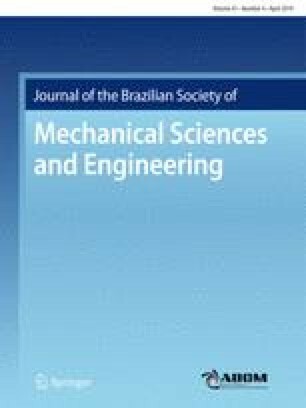 In this paper, 3D analysis of machining process of Inconel 718 alloy was carried out to evaluate surface integrity in terms of depth of the recrystallized layer and residual stress. At first section, experimental tests were conducted at different machining process to use them as the benchmark for evaluation of recrystallized layer depth in machining simulation. Using the critical strain criterion, the numerical results of recrystallized layer depth was calculated and successfully verified with corresponding experiments. To improve precision of the numerical results, the user subroutine was implemented in FE code to employ hardness-based flow stress and also cutting tool geometry was precisely measured. At the second section, residual stress distribution in the machined surface was firstly predicted using the elastic–plastic analysis and verified with experimental test. After that, the effect of testing conditions was evaluated and discussed on different indications of residual stress profile. Finally, there is reasonable hope that utilized strategy can be extended efficiently for other manufacturing processes.